I choose to be poor. Being poor is not a bad thing. Do you know why it isn’t bad to be poor? 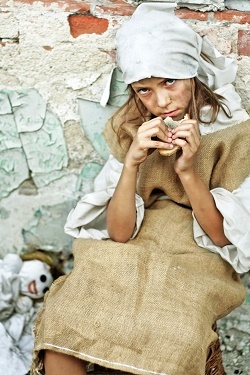 It is not bad to be poor, on the other hand, it is actually quite good to be poor. I will tell you the benefits of being poor. When you are poor, you don’t have to be afraid of losing money or being robbed. You know a lot of rich people, they have high walls, guards and security system to protect themselves. They would afraid the share market would crash or the shares they own will crumble and they lose all their money, they will lose sleep at night. When you are poor, you don’t have to be afraid of your car being stolen. You have a piece of junk and nobody would steal it. The rich people don’t dare to park their cars (like Porsche, Mercedes or Lamborghini) on the side of the road if they do not know the area. When you are poor, you can give away half of your money without blinking your eyes – a rich man cannot do that. When you only have $10, so giving away $5 is nothing. For a rich man with a million dollars, they will never give away half a million dollars – no way. You see, you can do something that a rich man can’t do. When you are poor, you have the chance to do more exercise and which is good for the body. You walk everywhere and you have exercise every day. As for the rich people, they travel with their cars and it is bad for their health. When you are poor, your friends are genuine. They become your friends not because you have money since you have none. For the rich, it would be hard to get true friends. Even if they do, but at the back of their mind they would still have doubts – Does this guy coming after my money? Have you seen the movie “The Great Gatsby”? Mr. Gatsby has so many friends and they all come to his party every week. When he died, there was no one at his funeral. His money cannot buy him friendship, his money cannot buy him happiness. Also, have you seen the movie by Eddie Murphy called “Coming to America“. In this movie, he was the wealthy crown prince of Zamunda. In order to find true love, he pretended to be a poor man. I believed we all know why he did that? For he didn’t want to get a girl who loves him for his money. So when you are poor, you don’t have to pretend. Isn’t that great! When a poor man dies, all the people gather around to see him off – they loved him. When a rich man dies, all the people gather around him could be waiting to get his money. I have heard it many times on the news that children of rich parents are fighting for their inheritance, even before their parent passed away – they loved his money. I believed when we are poor there is more to life. Of course, we struggle and we work hard to put food on the table, but it is a test for our spirit. They said if it didn’t kill you, it will make you stronger. Because of that, we become a better person – smarter, stronger and have fighting spirits. This spirit is what I loved to have, I can experience more about life than someone who has never had difficulty and challenge in their life. Disregards all those benefits of being poor. Do you know what is the utmost reason that I choose to be poor? It is because if I do not waste my time trying to make more money. I will have time to do other things that I love. I use the time to search for the meaning of life, to make friends, to learn music, to think and to be with my family…. so and so forth. Hence, I have discovered what is love. I mean true love or you might call it pure love. I made new friends with purest intention, not because they have money, not because they have fame, not because they are beautiful. Even though my pockets are empty, I have richness inside of me. I am a survivor and I can handle anything. My dear readers, I know most of us want to make more money and live more comfortably. My advice to you is don’t over do it, do not let making money worsen your health, do not let making money corrupt your soul. Leave time to fill up your heart with love and fill up your brain with knowledge.